FREAKDELAFASHION: Win a Jonathan Saunders Dress Every Week! 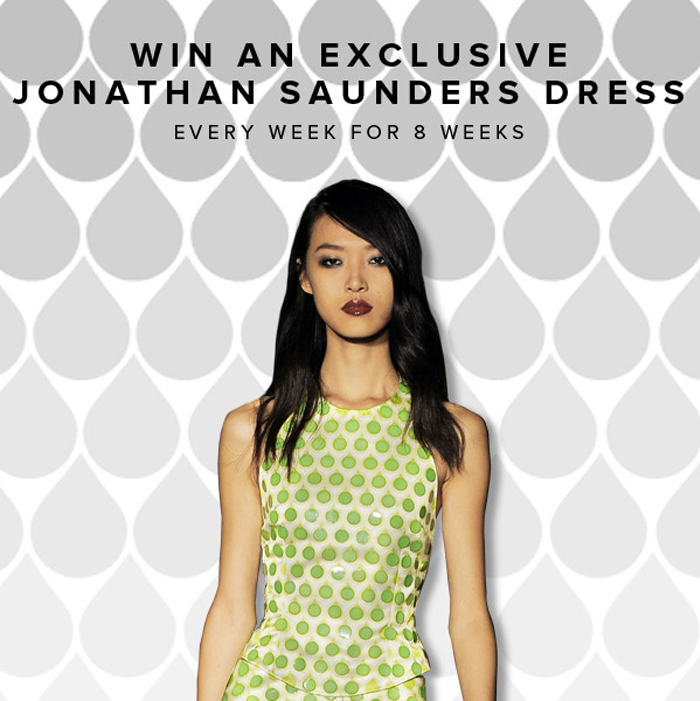 Win a Jonathan Saunders Dress Every Week! To celebrate the new version of the website Motilo.com. They giving away an exclusive Jonathan Saunders dress each week until the big relaunch. To enter simply follow @Motilo & @MrsMotilo and then tweet your fashion dilemma using the hashtag #fashiondilemma. Oh and remember the more you tweet the greater your chance of being success, as we’ll be picking a winner at random every Friday afternoon. 3) Check your twitter account every Friday to see if you won. Thanks for visiting my blog! I'm following you now and will appretiate you to follow me too!